Uplifting! I have binged listened because her advice is amazing. I have learned so much from hearing her counsel others. A listener wrote in to ask about how she and her triplet sisters could have the same birth chart and yet be so different. Jessica called her, and half the family jumped in on the call! They talk about health, life after a baby, and how allowing your loved ones to take care of you can be an act of kindness. Get ready for the second Full Moon in Libra of 2019 and a horoscope that challenges you to love yourself enough to change, even when nothing is pressing you to do so. Jessica has rounded up a bunch of listener questions this week! She explores whether cusps are real, to queering astrology for parents, in this special episode. There's a lot going on this week so use the horoscope to help you to gain perspective, and to pace yourself through the highs and lows of the upcoming transits. What do you do when you see evidence of trauma or turmoil in your child's birth chart? A listener wrote in with concerns about her relationship with her daughter and her desire to avoid the mistakes her own mother made. How do you nurture 12th house planets in the life of a loved one? It's the changing of the seasons, and Mercury is finally going direct. Learn all about it in this week's horoscope corner of Ghost of a Podcast. More Mercury Retrograde madness, forgiveness, and priorities are all on the table in the horoscope corner of the podcast. •Text CONNECT to 741741 in the USA or 686868 in Canada and a live, trained Crisis Counselor will receive your text and will offer aid. ♥️ To send your question to be answered on the podcast and for more horoscopes, visit lovelanyadoo.com. 👻🎧 Love Ghost of a Podcast? Sure you do! Now you can support it on Patreon. 📱Download Tiny Spark to your iOS device. This week's horoscope unpacks this month's Mercury Retrograde, and the personal as well as the societal potential that it yields. Plus, get ready to charge your crystals - it's a New Moon this week in mystical Pisces! Lanyadoo is back to answering listeners questions this week, and she gives advice on how to deal with a listener's compulsive tendencies as she struggles with an eating disorder. 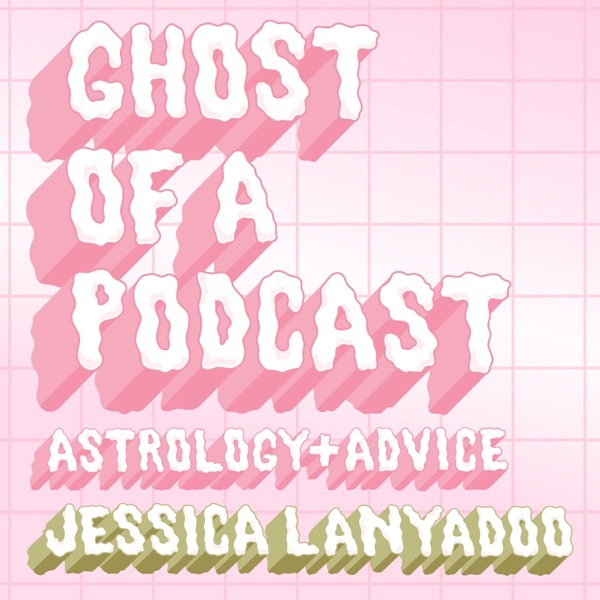 In the astrology section of GOAP Jessica gives some Mercury Retrograde advice, and explores relationships and growth. ‣Check out Needa or your local chapter of Overeaters Anonymous, or to go to remote meetings by phone, check out this link. ‣I love Marcella Raimondo's list of links as they include resources that are specifically for POC, trans folks as well as queer folks. ‣Follow Virgie Tovar and Jameela Jamil on social media. ‣If you or someone you know is struggling with suicidal thoughts, there's always help available to you. ♥️ To send your question to be answered on the podcast, for more weekly and monthly horoscopes, and to read your 2019 Year Ahead horoscope, visit lovelanyadoo.com. In the horoscope this week, Jessica explores moods and the Moon, just in time for the Full Moon in Virgo. She also breaks down the conjunction, what it means, and how it plays into the astrology of the week. Download Tiny Spark to your iOS device. Part 2 of An Evening of Mediumship, where Jessica delivered messages from loved ones who've passed on. Get ready for a Valentine's Day rant and your horoscope in the astrology corner, of this very tender episode. This week's horoscope comes with lots of sextiles - find out what it means, and align yourself with the potential of the New Moon in Aquarius. From a Saturn sextile to Neptune to a Mars conjunction to Pluto, Jessica's got you covered with this week's horoscope! Download Tiny Spark to your iOS device (it's free!). ♥️ For more weekly and monthly horoscopes, your 2019 Year Ahead horoscope through the signs + other Lanyadoo magic, visit lovelanyadoo.com. This week's horoscope has lots to keep track of: the Full Moon/ Lunar Eclipse on the 20th is going to kick up powerful emotions, and while it's an excellent opportunity for healing, it's also likely to come with some challenges. This week's horoscope brings up compulsion, heavy thinking, and potential for major breakthroughs! Leverage the planetary weather forecast for living your best life. Love Ghost of a Podcast? Sure you do! Now you can support it on Patreon. In the horoscope corner, Lanyadoo does a little Uranus in Aries check in and offers you tools for this week's somewhat bumpy astrological ride. Want to give Jessica a birthday present? ✔︎Donate to RAICES, a nonprofit agency that promotes justice by providing free and low-cost legal services to underserved immigrant children, families, and refugees. ✔︎Donate to the ACLU, who play a leadership role in challenging efforts to undermine the Constitution and trample on people's constitutional rights. This week's horoscope includes the astrology for the transition from 2018 to 2019! Lanyadoo reads your astro-forecast, including the emo Solar Eclipse in Capricorn on the 5th. At around the 24 minute mark Jessica gives you a sneak peak at the astrology of 2019. Download Tiny Spark to your iOS device and @ Jessica on social media when you do! Download Tiny Spark to your iOS device. Share your answers @ Jessica on social when you do! ♥️ For more weekly and monthly horoscopes + Lanyadoo magic, visit lovelanyadoo.com. Feeling distressed and in need of help? Text CONNECT to 741741 in the USA or 686868 in Canada and a live, trained Crisis Counselor will receive your text and will offer aid.